Wildflower Mixes Wildflower Mixes – McGough's Inc. Nothing quite competes with the beauty of naturalized wildflowers. 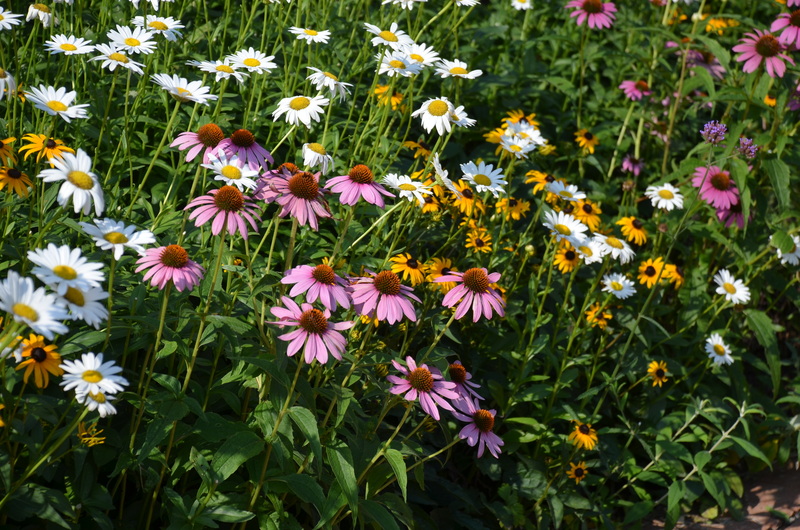 McGough’s carries several wildflower mixes to fit the conditions in varying landscapes. Wildflowers can provide a low-maintenance addition to a landscape that not only pleases aesthetically, but also provides food and nectar to bees, butterflies, and birds. A few steps in preparing an area can help a wildflower bed or field flourish for years. Although they can be grown at varying points in the season, these mixes have higher rates of success when sown in late spring. They also perform better when the bed has been cleared of other weeds and grasses that would compete for space and nutrient. Like any other tender young plant, wildflower seedlings will require adequate moisture for survival, but once well-established, are generally tolerant of droughty conditions. Be patient! Typically forms basal crown the first season, while plants develop. Many varieties are tap-rooted, showing good drought tolerance once established. Will spread & reseed, often forming large colonies. Mixing with a non-aggressive grass such as Sheep's Fescue will result in a naturalized, prairie effect. Seeding rate: 8-14 lbs/acre - 5 oz /1,000 sq. ft.
A mix of 100% annuals for spectacular bloom in the same season. Many varieties will reseed. 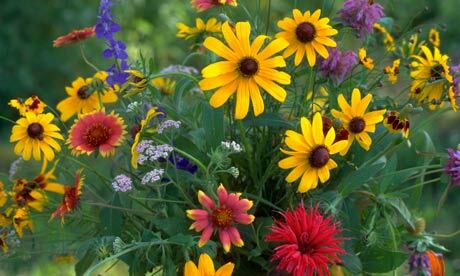 Often added to other perennial mixes to boost color the first year. Seeding rate: 8-14 lbs/acre - 5 oz/1,000 sq. ft. Varieties chosen for our region. Contains enough annual wildflower seed to put on a colorful show the first season while perennials become established. 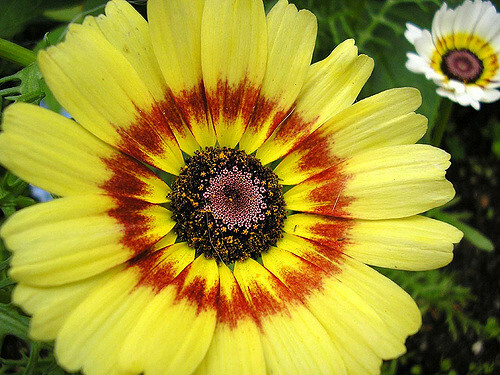 A blend of annual, biennial, & perennial seeds selected for their ability to tolerate filtered sun or partial shade. Caution - will not prosper in dense shade. 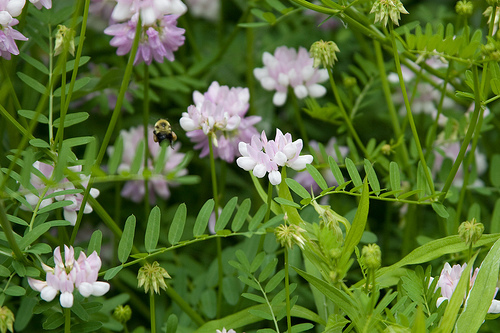 A perennial herbaceous legume native to Europe, crown vetch is deep-rooted, winter-hardy, and tolerant of drought and light shade. Due to its spreading nature, crown vetch is an attractive option for stabilizing soil and controlling erosion on hillsides and steep banks. Caution - once established, it can become very aggressive. Seeding rate: 20 lbs/acre - 1 lb/1,000 sq. ft.
Use a companion crop of perennial rye: 40 lbs/acre - 1 lb. /1,000 sq. 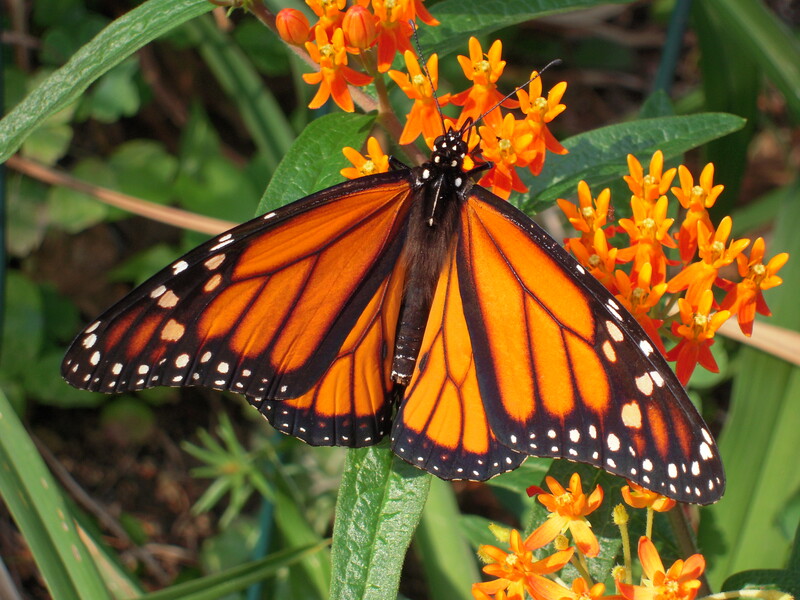 ft.
An annual and perennial mix of wildflowers and garden flowers blooms through the season to provide nectar and seed for many species of butterflies, hummingbirds, and songbirds. 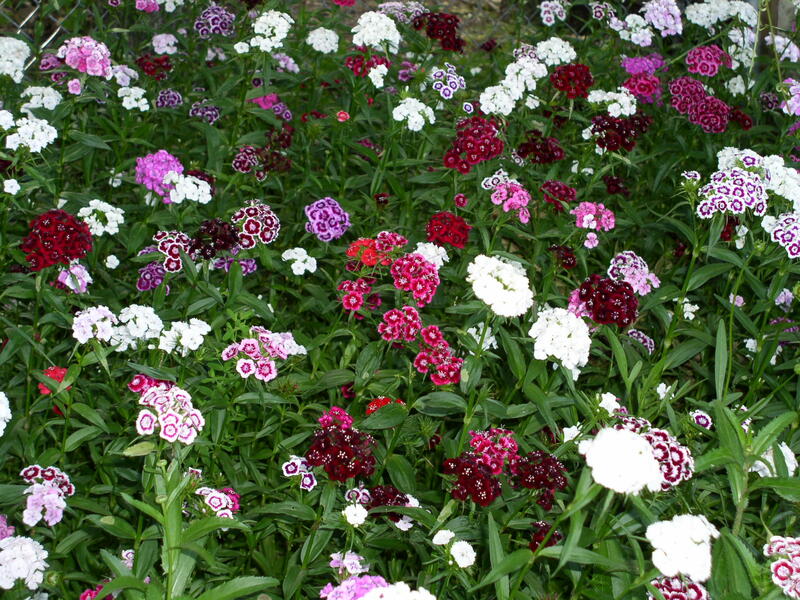 Included in the mixture are host plants for butterfly larvae. Seeding rate: 11-22 lbs/acre - 8 oz/1,000 sq. ft.
A mix of perennial and annual wildflowers and garden flowers to provide nectar and pollen to honey bees, wild bees, and other pollinators. 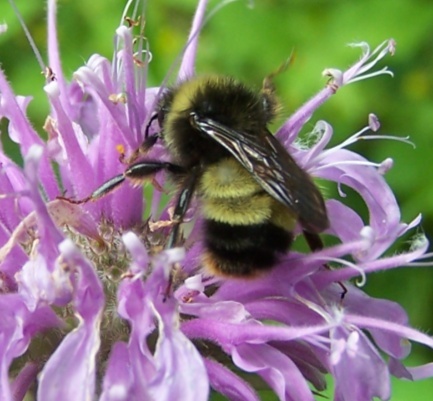 Early, mid and late-blooming flowers gives bees forage throughout the growing season, and are suitable for short and long-tongued bees. Seeding rate: 6-12 lbs/acre - 5 oz/1,000 sq. ft.
Additional wildflower varieties and native grasses are available by special order.